‘musicdance’ attempts to answer the age old question, ‘which came first, the music or the dance’. I believe that music and dance evolved simultaneously; motion has an inherent rhythm, and rhythm is a defining element of music. 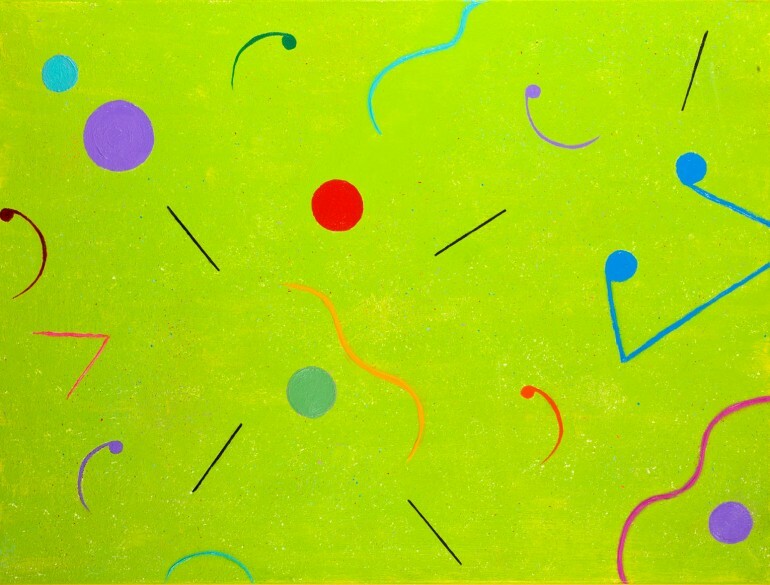 The bright green background, a combination of sand and paint, provides a primordial feeling to the interplay of the seemingly unrelated lines, circles and eighth notes on the surface, dancing and sounding simultaneously. The central figures comprised of black lines and red circle are simultaneously both a dancer and cellist.